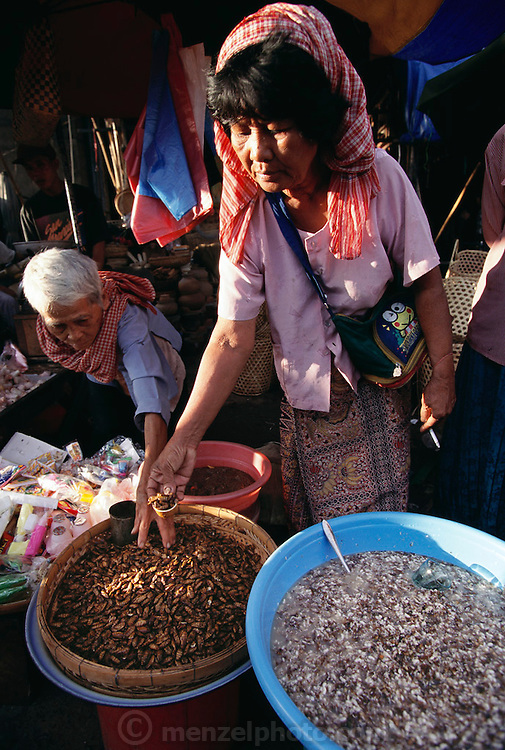 A saleswoman at the middle market in Phnom Penh, Cambodia measures silkworm pupae. She also sells bee larvae (in blue tub). Image from the book project Man Eating Bugs: The Art and Science of Eating Insects.